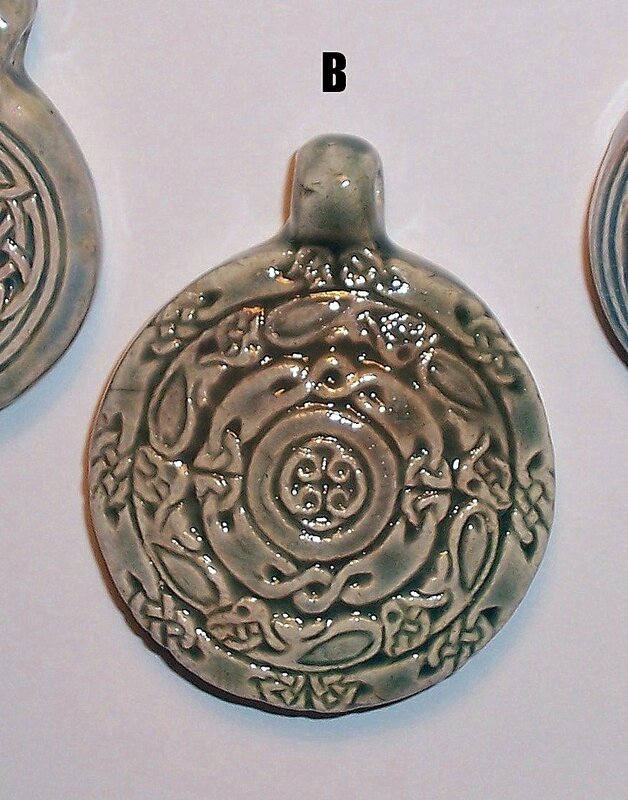 Interesting ceramic pendant with a blue glaze. The central rosette is surrounded by braided knots, animals(rabbits, maybe?) and another circle of braidwork. Comes on your choice of a braided cotton cord or leather cord with silver-tone clasp. This is the largest of the pendants, measuring 1.5 inches(3.5 cm) across and 1.75 inches(4.5 cm) including loop.